While it’s tempting to look for big ways to save money, don’t discount the small things you can do to save a few dollars that will ultimately add up to big dollars. Here are 35 small things you can do, simple behavior changes, that can help you stretch your hard earned cash a little further. Little changes can save big money over time! 1. Pay bills on time to avoid late fees and interest charges.2. Mom was right. Turn off the lights when no one is using the room. 3. Swap sugary drinks for water. It’s free and it’s good for you! 5. Skip the drive thru and make your coffee at home. Along those lines, carry a reusable water bottle when you travel. It will save you money and help the environment. 6. Sign up for rewards programs at stores you frequent. Grocers and pharmacies will often give you coupons for discounts or even free merchandise. 7. Try the store brands of your favorite foods. Often times, the packaging looks different and the price is higher but the contents are the same as the name brand. 8. Share music, books and movies with a friend. It’s a great way to introduce each other to new artists. 9. Remember it’s usually cheaper to cook for your family than to pick up fast food. Stock your freezer with some convenience meals for those nights you’re tempted to order takeout. 10. Cancel memberships and subscriptions that you don’t use. There’s no sense paying for a magazine that you don’t read or a gym membership if you never go. 11. Skip the vending machine and try bringing snacks from home. 12. Jazz up leftovers to avoid wasting food. There are a lot of websites and blogs dedicated to cooking and some to reinventing leftovers. See number 16 another great idea for leftovers! 13. Improve gas mileage by airing up your tires. Experts say that for every two PSI that all of your tires are below the recommended level, you lose one percent on your gas mileage. 14. Try your hand at Meatless Monday. There are tons of great casseroles and soups that are delicious and inexpensive to make because they don’t use meat. 15. Plug your electronic devices into a surge protector. All those cords for your TV, DVD player and gaming devices have to plug in somewhere. Many people don’t realize that they continue to use power even when turned off so be sure to flip the switch when they aren’t in use. 16. Pack your lunch and save a bundle every month. By bringing leftovers or a sandwich from home, you can eat a healthier lunch and save money. If you typically spend just $5 a day on lunch, at five days a week for four weeks, you can save $100 a month! 17. Close the blinds or drapes during the day to keep light and heat from coming in during the summer. The extra heat will make your air conditioner work harder in the summer. On the other hand, open them up to let in sunshine to help with winter heating. 18. When conditions are appropriate, use cruise control to regulate your speed and improve your gas mileage. 19. Another great way to save on gas is to combine errands into one trip. If some stops are close together, park your car and walk a bit. Since walking is good for your health there’s an added benefit! 20. Going to the movies? Check out the matinee instead of the evening show. Ticket prices at some theaters are significantly cheaper earlier in the day and theaters are less crowded. 21. Kick your vices to the curb. Whether it’s smoking or a daily run to the ice cream shop, these habits can be expensive and bad for your health. 22. Do you shop when you’re bored? Why not play a game with your kids, take a walk or check out a community event instead? 23. Check out your local library for all sorts of free resources. You might be surprised to find so many new release books and movies as well as magazines, free events and things for the kids to enjoy. 24. Ask your physician to consider prescribing generic drugs. Generic drugs can cost several hundred dollars less to purchase annually than brand-name drugs. 25. Lower the thermostat on your hot water heater just a few degrees to save a lot of dollars each year. 26. Plan ahead for holidays. Buying cards, wrapping paper and gift bags after Christmas can save you 50 to 75 percent on these needed items. But you can also find cupcake wrappers, cards and decorations deeply discounted after every holiday throughout the year. 27. Repair (or work around) before you pitch. Don’t toss out that blouse because it needs a button or that vase because it has a chip in the side. Learn to sew that button back on and how to turn the vase so no one sees the flaw! 28. Buy produce that’s in season. It will taste better and save you dollars. If you find a great deal on berries, buy extra to freeze for later and enjoy the flavor of the season for less. 29. Make sure that your drapes and furniture don’t block heating and cooling vents. 30. Unplug your cell phone charger when it isn’t in use. 31. Leave the thermostat alone. If you’re cold, put on a sweater or get up and move around. 32. Open the windows! If the outside temperature is moderate, open the windows and let the breeze and sunshine in. It will save on your electric bill and help to air out your home. 33. Carpool to work. Make friends with a coworker in your neighborhood and take turns driving. You will save wear and tear on your vehicle and on fuel. Plus you will have company along the way! 34. Have a spill that’s not too messy? Use a dish towel instead of a paper towel. The expense of disposable products adds up quickly. 35. Plan your week. Don’t wake up every day wondering what your kid will take for lunch. Create a meal plan and shop for it and prepare meals and pack leftovers into your lunch the night before. Also remember to plan for what tomorrow will bring. If your daughter has soccer practice, pack some snacks so you don’t have to swing into the drive thru. 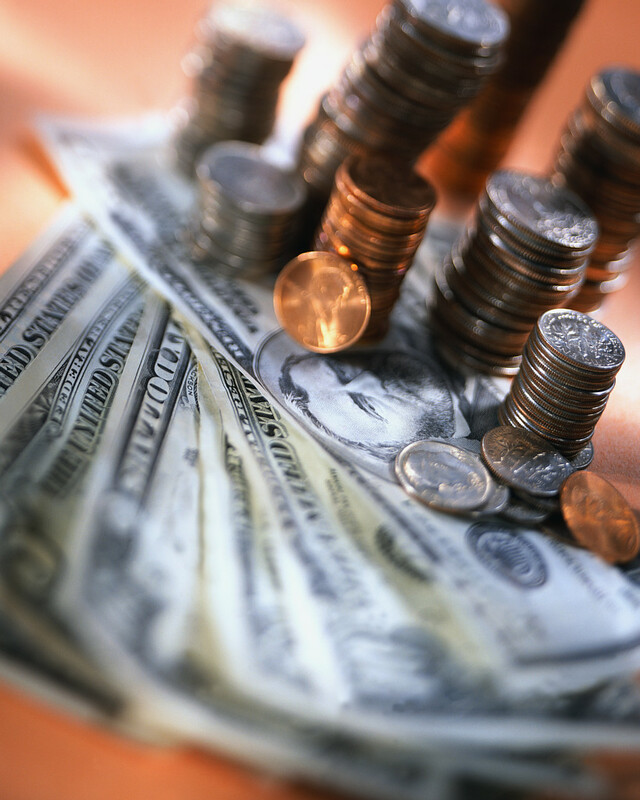 Do you have other tips for saving money in your everyday life? We would love to hear them! Post a comment below and remember also to subscribe so you never miss a post from VCNB. This entry was posted in Money Smart and tagged Bill Pay, Bremen Banking Center, Canal Banking Center, Cost cutting, frugal, Hocking Hills Banking Center, Ross County Banking Center, Salt Creek Banking Center, VCNB, Vinton County National Bank by vcnbfamily. Bookmark the permalink.